The Great Central Railway (Nottingham) (formerly known as Nottingham Transport Heritage Centre) is a heritage railway and Transport Museum on the south side of the village of Ruddington in Nottinghamshire. The route consists of almost 10 miles (16 km) of the former Great Central Railway Main Line from Loughborough South Junction (with the Midland Main Line) to Fifty Steps Bridge and the site of Ruddington's former GCR station site, plus a branch line from Fifty Steps Bridge to the Ruddington Fields site which is located on a former Ministry of Defence site next to Rushcliffe Country Park. There are currently stations at Ruddington Fields (within the main centre site) and at Rushcliffe Halt, but the GCR(N) would like to re-open the former station at East Leake in the longer term. The railway is currently not connected to Great Central Railway (at Loughborough Central in Leicestershire), although there are plans well underway and work has started to reunite the two preserved lines. This is a major engineering project that is expected to be completed during 2024 - 2028. Some 5.5 miles (8.9 km) of the line is used by gypsum trains serving the British Gypsum works at East Leake. 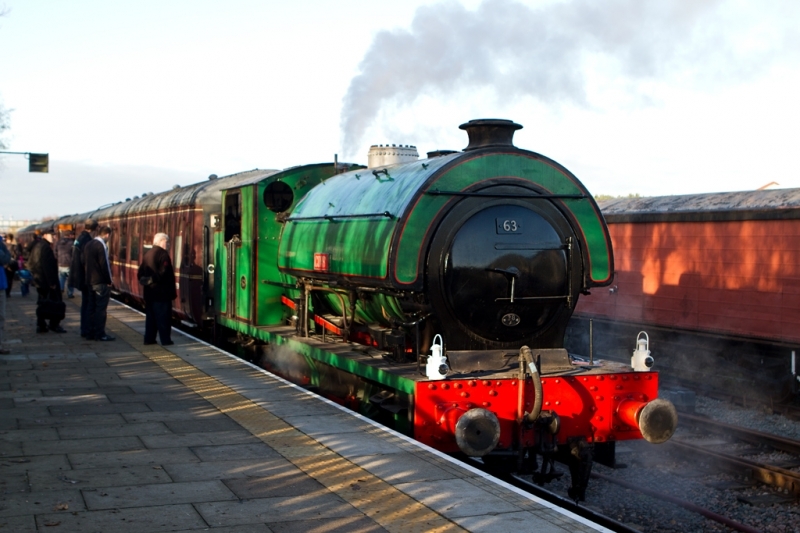 Please give us your overall rating for Great Central Railway - Nottingham.